Paradoxical harm is an emerging concept used to designate the adverse impacts of new practices developed to fight a different set of negative outcomes. It’s a concept that is very real in the search for climate change solutions. 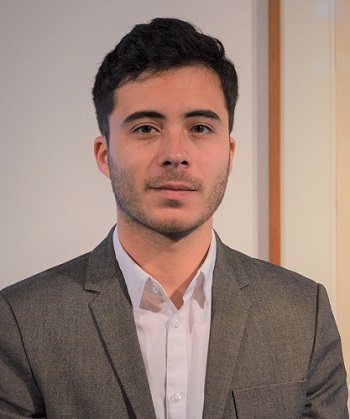 Luckily, uOttawa doctoral student Esteban Salcedo is committed to alleviating one such paradoxical conundrum by rethinking how the law regulates renewable marine energy. In an effort to meet climate change commitments, many countries are turning towards wave, tidal and offshore wind technologies as alternatives to fossil fuels. With coasts on three oceans, Canada is exceptionally well-positioned to take advantage of marine energy. Nova Scotia’s Bay of Fundy, in particular, is home to the world’s largest tides, and the province is positioning itself as a global leader in the tidal energy sector. But “the impact of marine renewable energy on the environment, fisheries, navigation and Aboriginal and coastal communities is not fully mapped,” says Mr. Salcedo. Could a well-intentioned effort to combat climate change through clean energy strategies paradoxically create different environmental and social harms? Moreover, could governments be inclined to relax certain important governance and regulatory processes in pursuit of carbon mitigation goals? This groundbreaking work has already received a ringing endorsement. Mr. Salcedo has earned one of the most prestigious scholarships available to Canadian doctoral students, the Joseph-Armand Bombardier Canada Graduate Scholarship. The Bombardier Scholarships Program aims to “develop research skills and assist in the training of highly qualified personnel by supporting students who demonstrate a high standard of scholarly achievement in undergraduate and graduate studies in the social sciences and humanities” (SSHRC Doctoral Awards). Valued at $35,000 over a period of three years, the scholarships are awarded through an open competition that sees submissions across a wide variety of eligible subject areas. The Bombardier scholarship will allow Mr. Salcedo to seriously consider a formal research stay abroad, at an institution working specifically on ocean governance and marine renewables. While his research has been mainly doctrinal so far, he is interested in doing some field observations to really connect with the subject of his research. This could include taking a closer look at marine renewable energy technologies in coastal areas in Canada and elsewhere. The Bombardier scholarship makes this kind of fieldwork feasible. Congratulations to Mr. Salcedo on this exceptional achievement!